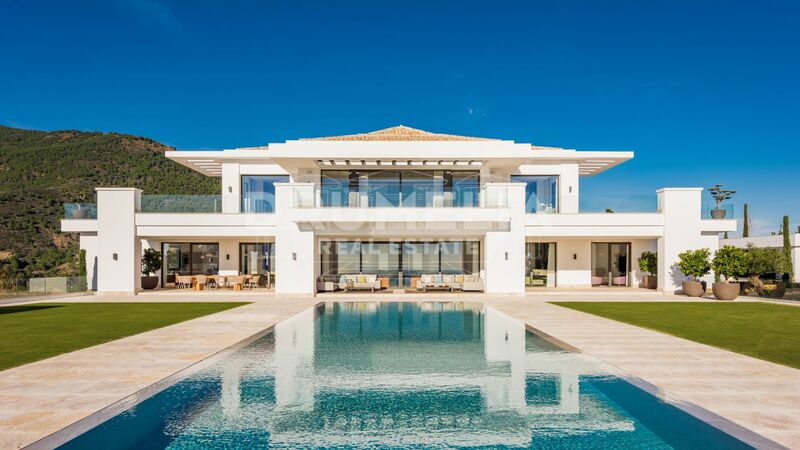 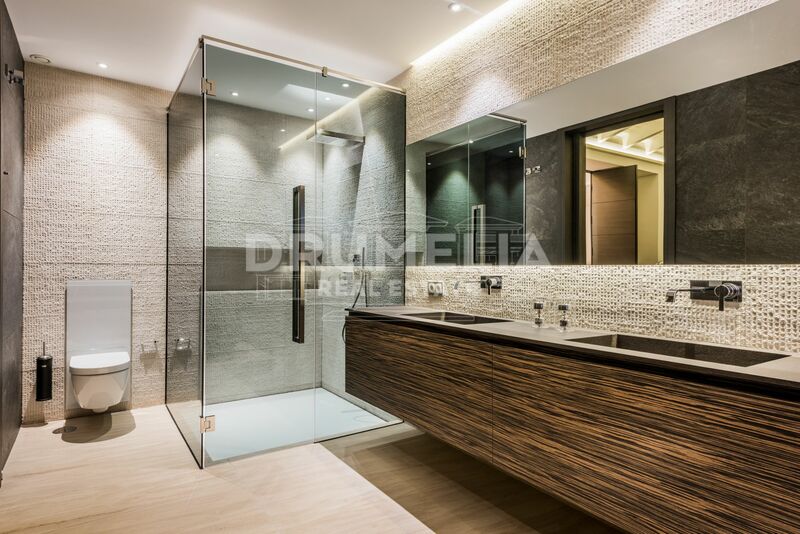 This newly-built villa is a dream come true for those who prefer modern chic and cool contemporary design, equally inviting and stylish. 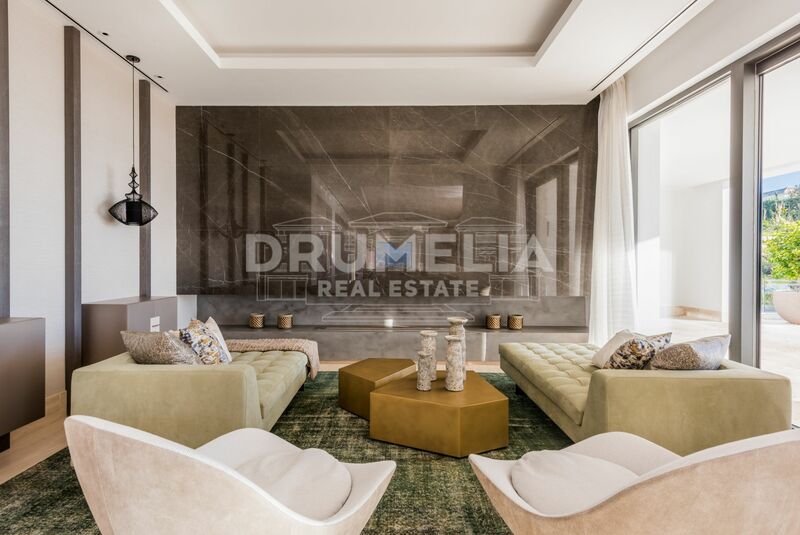 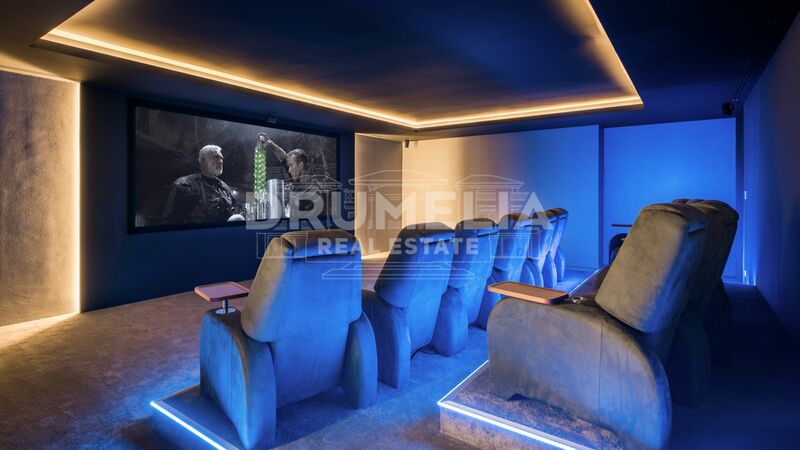 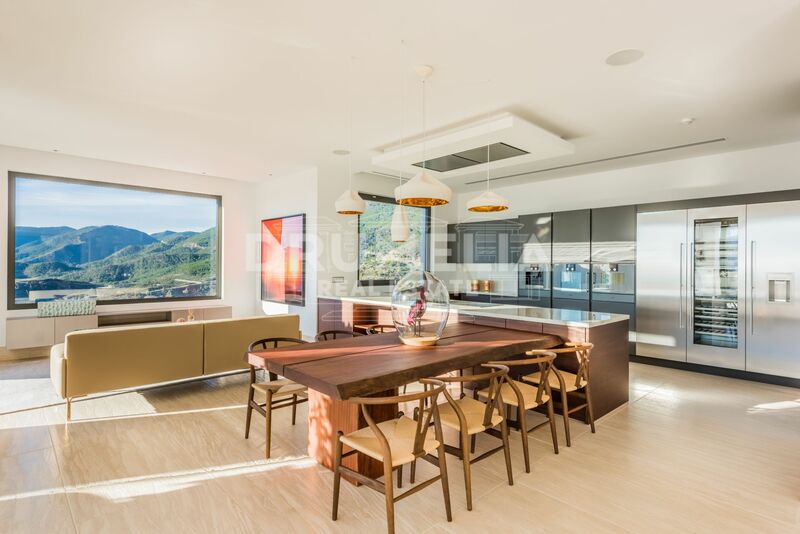 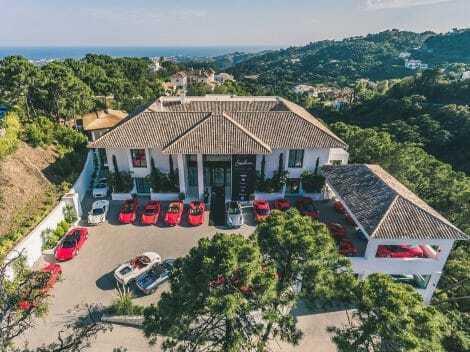 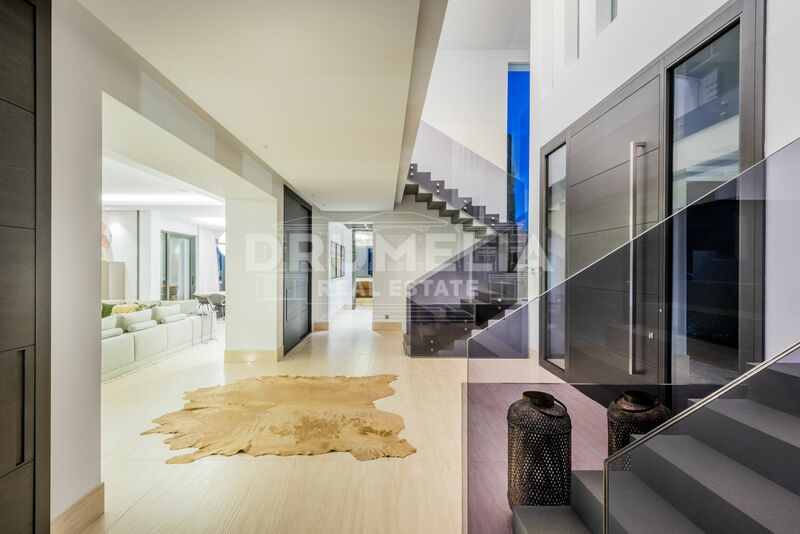 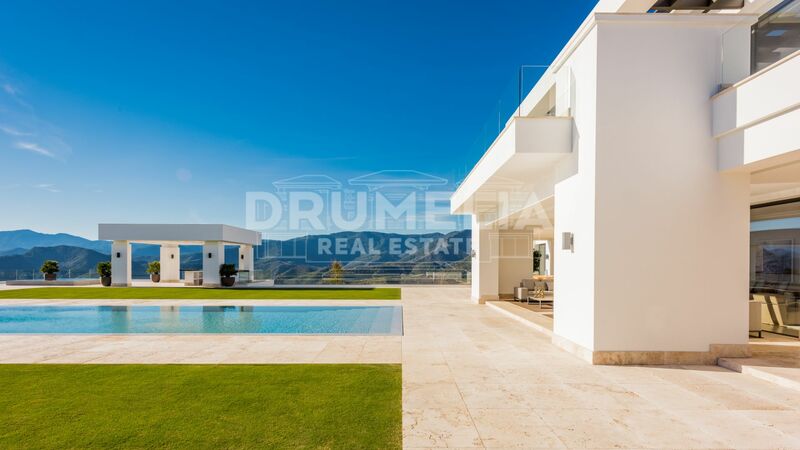 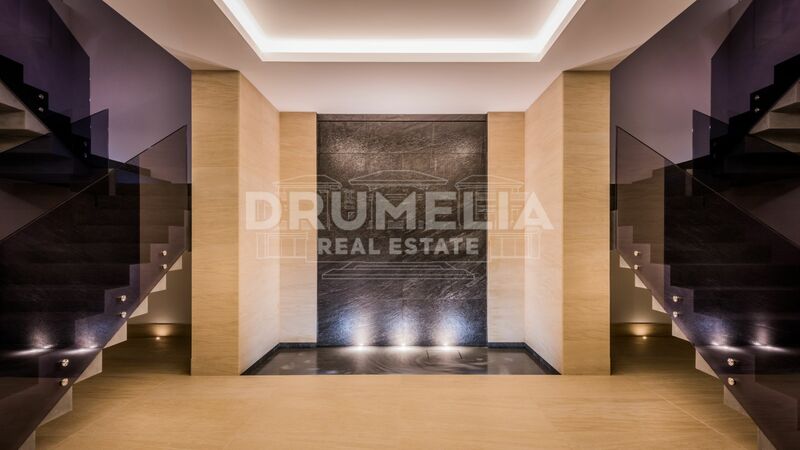 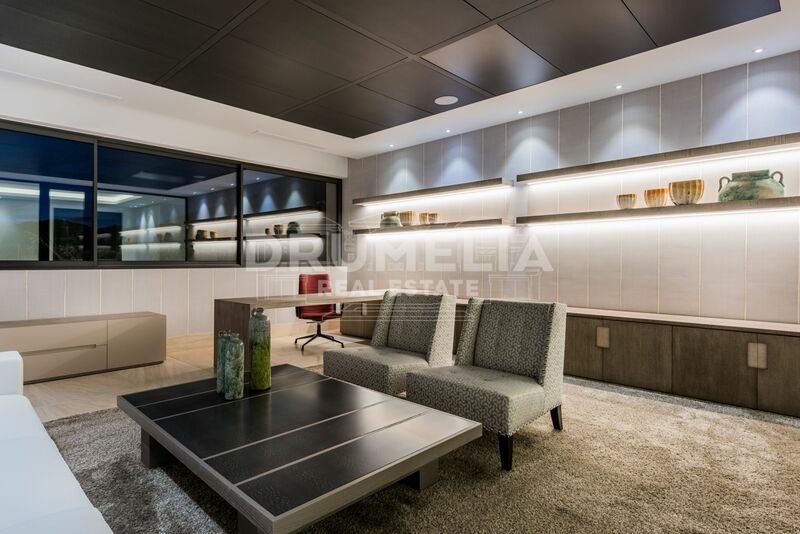 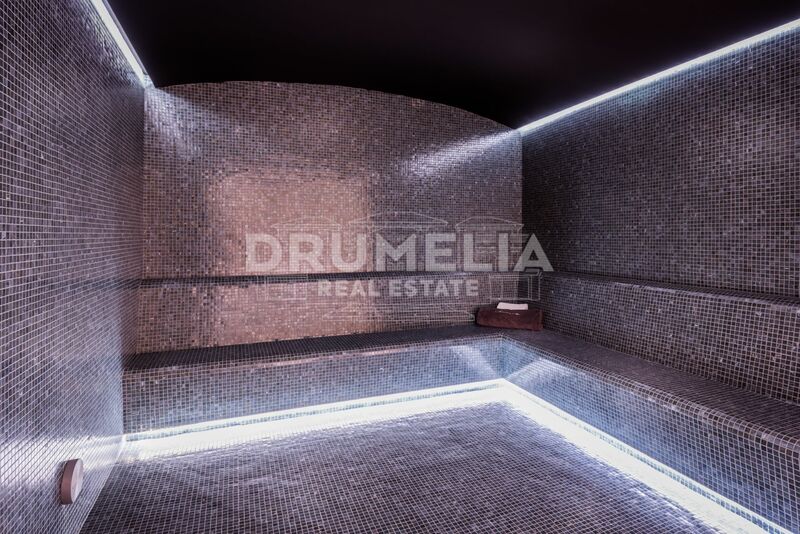 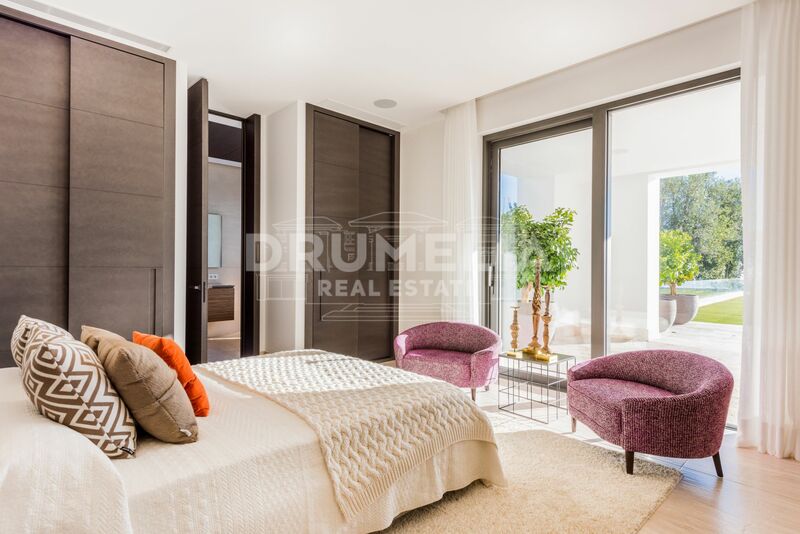 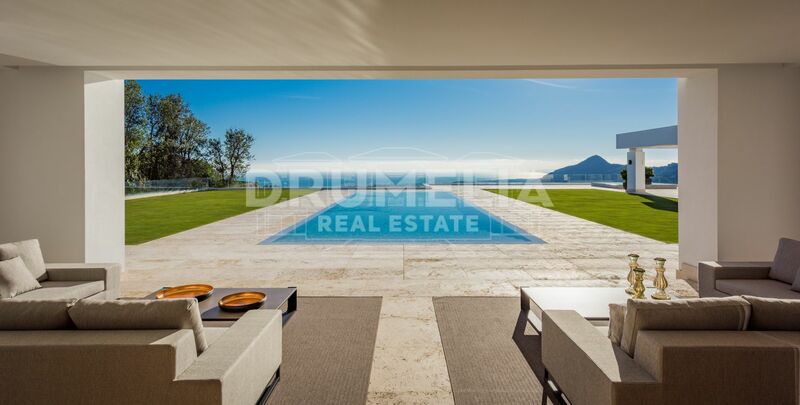 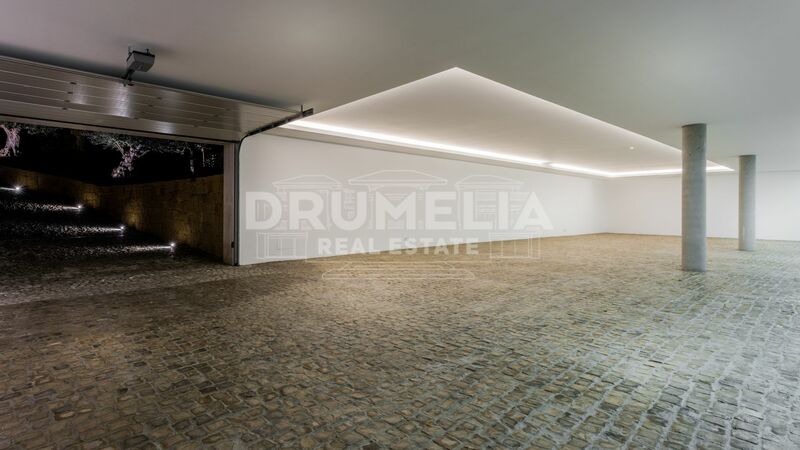 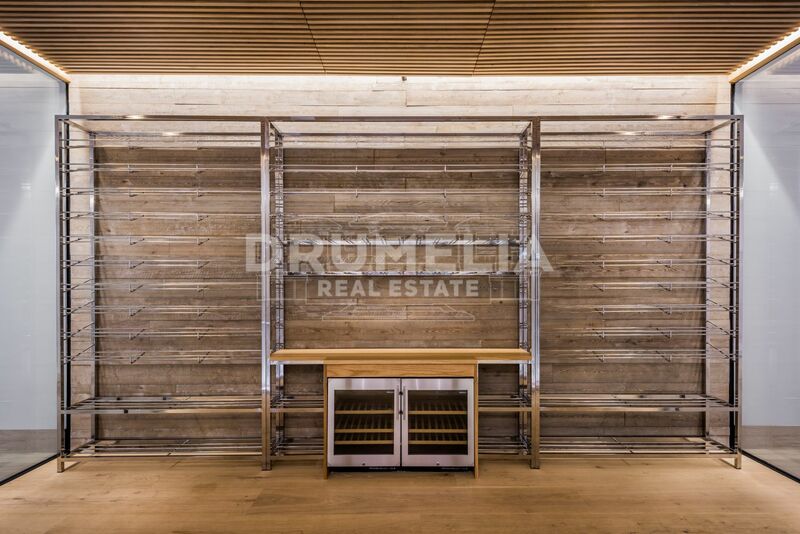 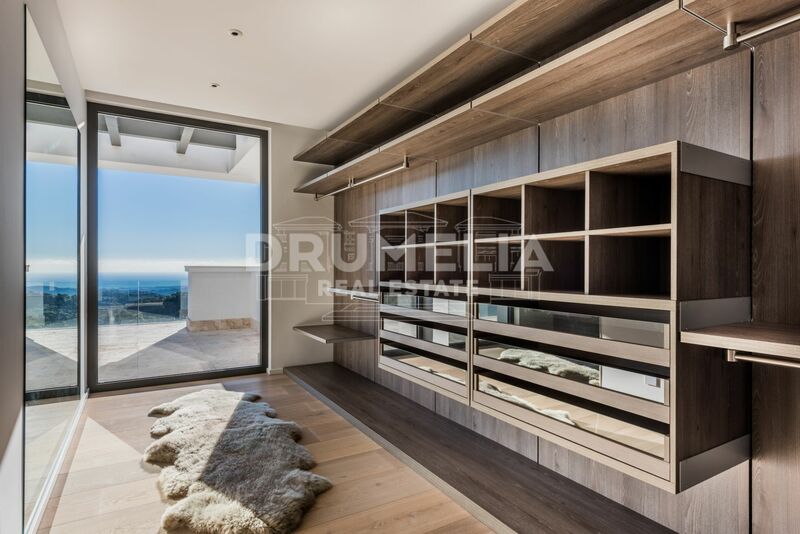 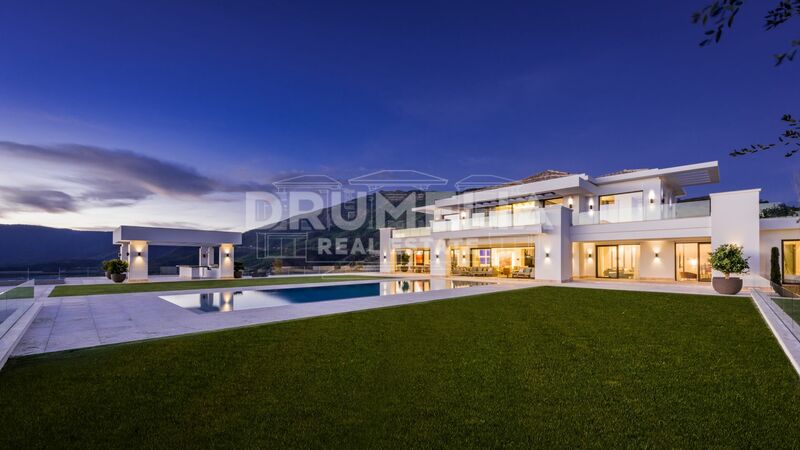 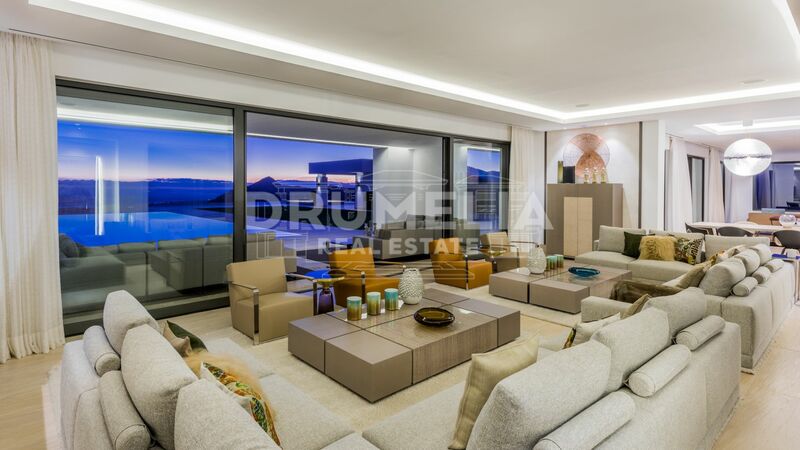 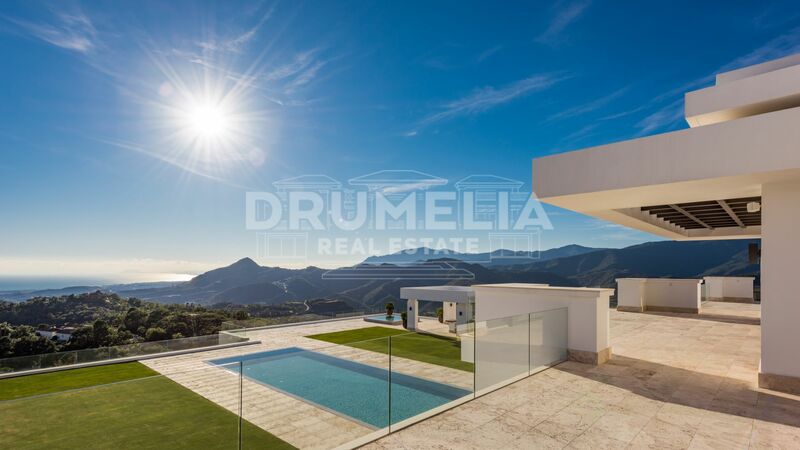 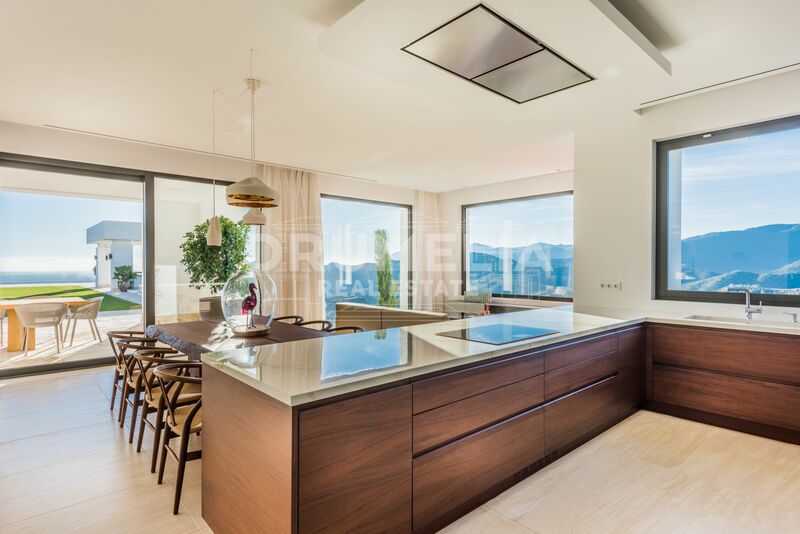 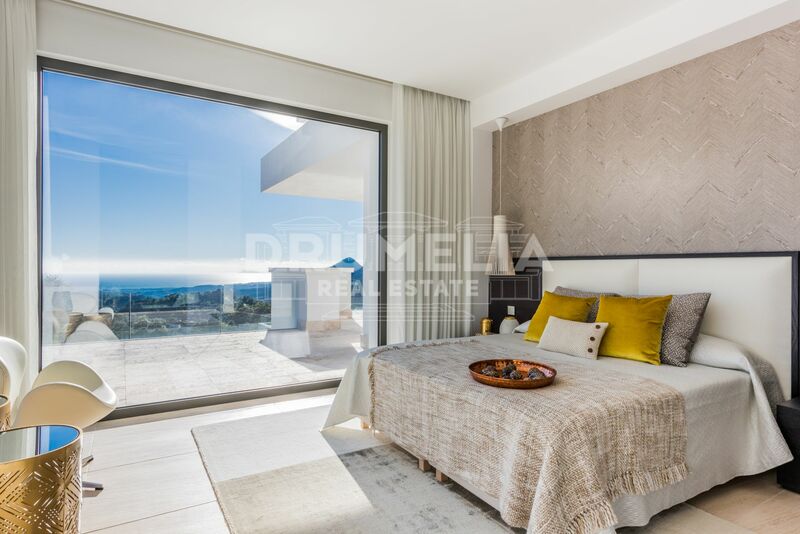 It offers complete privacy and security, incredible panoramic views of the picturesque surroundings and majestic mountains, the Mediterranean Sea, African coast and Gibraltar, and over 2,000m2 of light-filled, flexible living space. 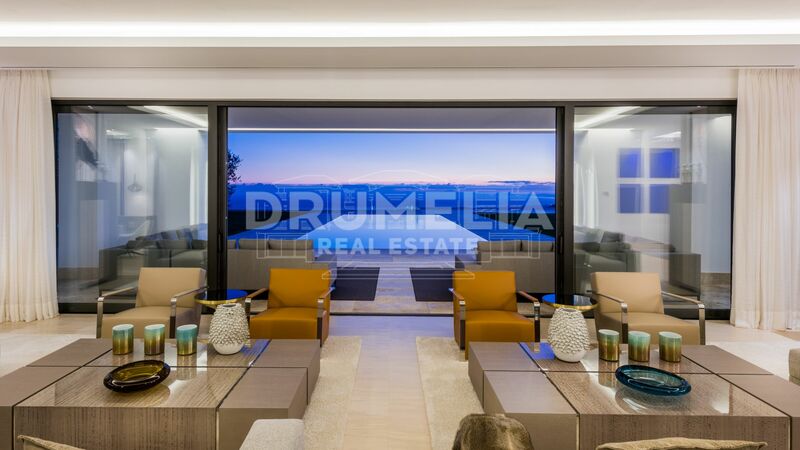 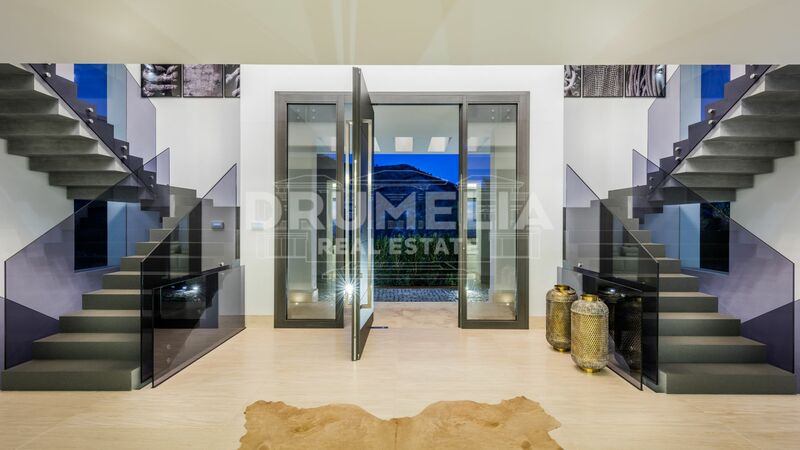 A double-height hallway leads to an expansive living room with full-width glass doors to the terrace; a formal dining room; a sitting room/salon; a cutting-edge kitchen with professional-quality appliances and dining area. 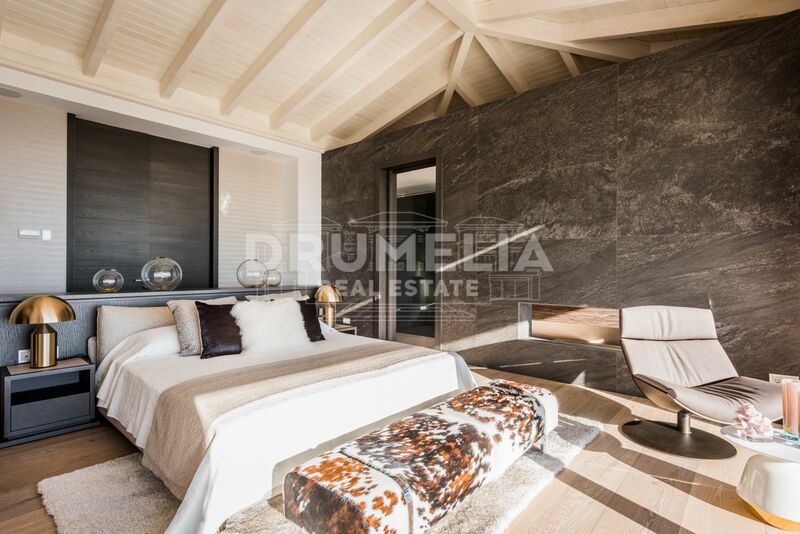 The house has 8 en-suite bedrooms, including a stunning Master suite on the upper level – under a beamed, vaulted ceiling with Super King Size bed looking directly out to sea, a full-height mirror, dressing room, sitting area, bathroom with a free-standing stone bathtub, and a private terrace. 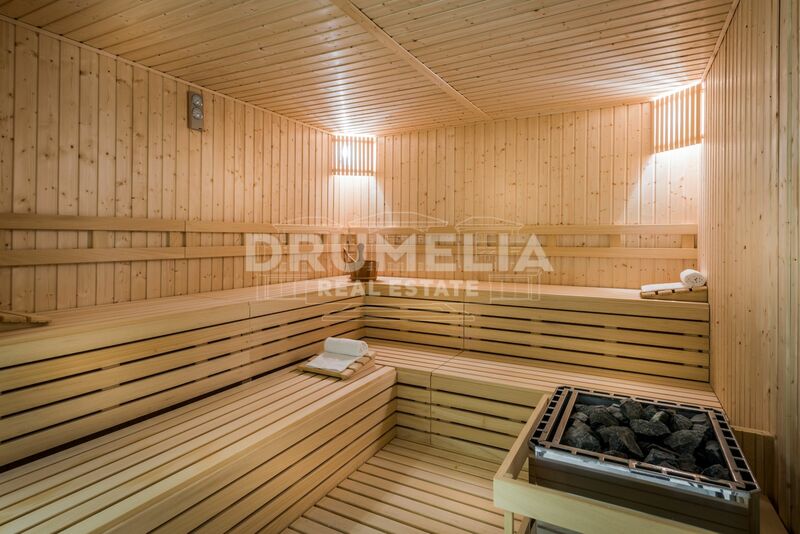 The property offers all the conveniences of an outstanding luxury boutique hotel including an enormous spa and fitness suite with Jacuzzi, sauna, gym with the latest cardio and weight machinery, indoor heated infinity pool; generous accommodation for staff and guests (two additional guest suites); bars and a whole entertainment floor under the garden (sub-garden level) – with cinema for 12 movie fans, game room, office; wine cellar with tasting room, garage for at least 6 vehicles and huge additional room for an entire car collection, if desired. 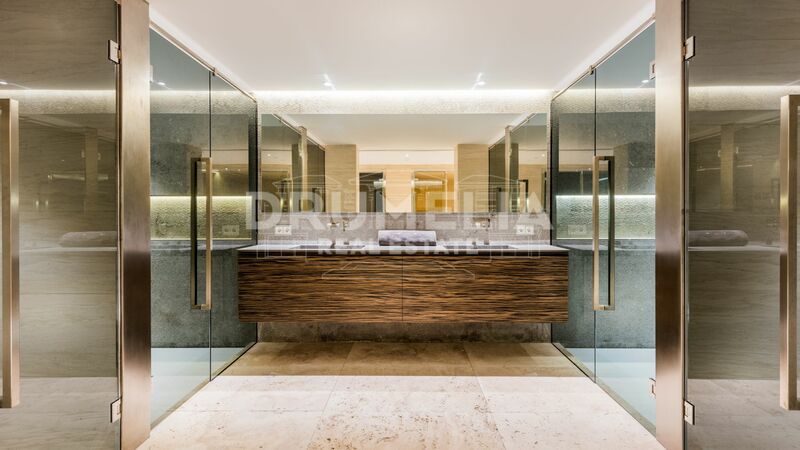 It comes fully furnished with bespoke made to measure contemporary furniture and decor, and sophisticated interior and exterior architectural detail, and has been designed with range of energy-efficient features, ergonomic and spectacular lighting solutions, clear forms and geometric lines, elegant restricted colour palette, state-of-the-art appliances and all luxury features. 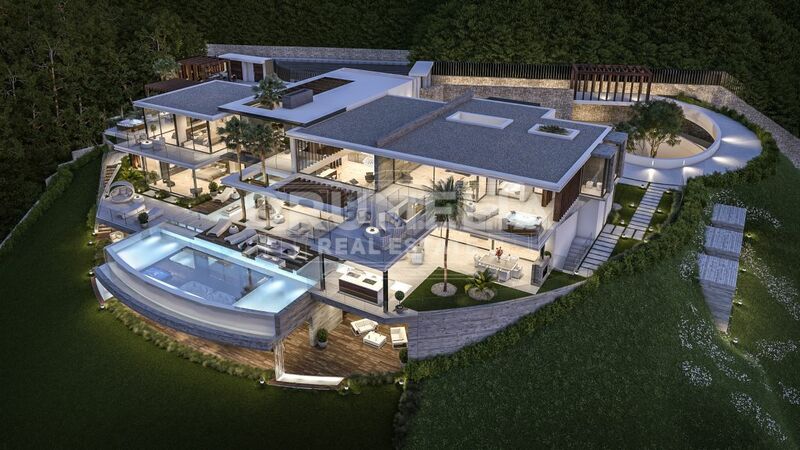 Home automation system, solar panels, satellite TV, automatic irrigation system, air conditioning, fireplace, double glazing, Zebrano carpentry, stylish glass guardrail and balustrade for the staircases, marble floors and underfloor heating throughout, fitted and walk-in wardrobes, covered and uncovered terraces, water features, solarium…Breath-taking property has it all – you name it – even a lift and reduced mobility access. 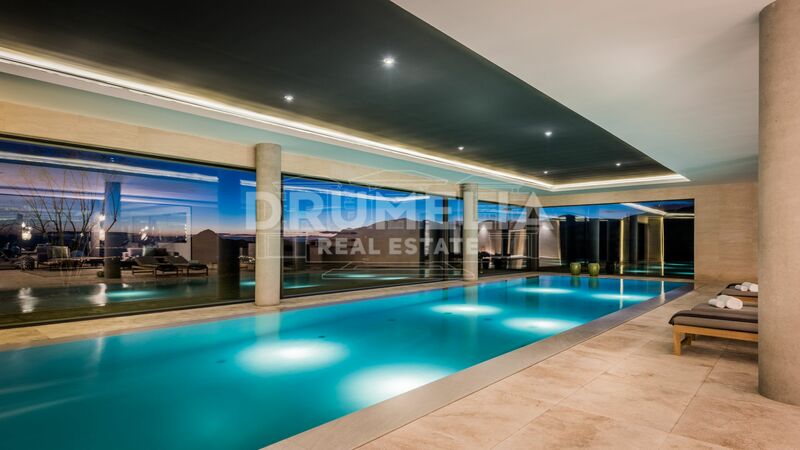 Landscaped mature gardens complete this exceptional property – with lounges, al fresco dining area in front of the kitchen, and pergola that houses the chill-out area, barbeque and bar overlooking the infinity swimming pool and Jacuzzi. 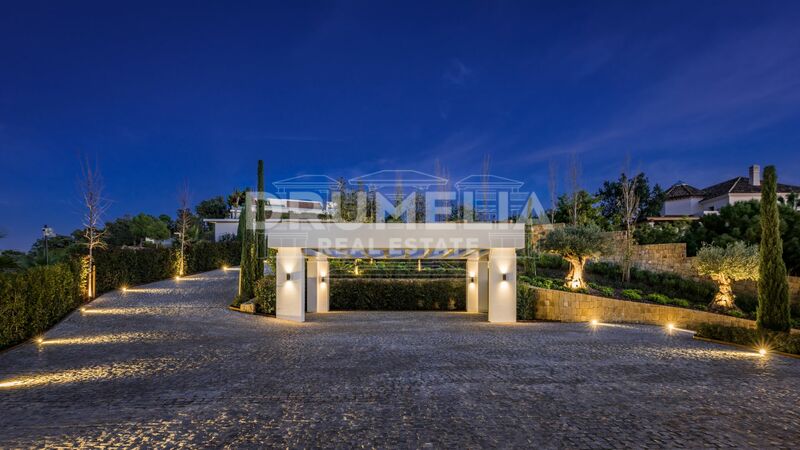 Located at the very top of the exclusive gated community La Zagaleta Golf and Country Club, less than 15 minutes’ drive from Marbella and fabulous Puerto Banús, this property is conveniently situated close to the north security entrance and boasts a discrete location and very high level of security (24h security service, video entrance, alarm, security shutters). 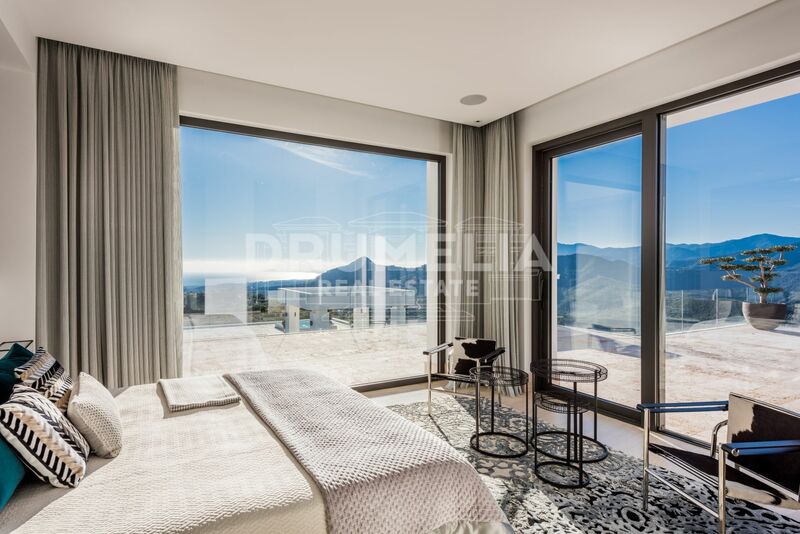 A unique chance to invest in the super luxurious residence where an incredibly high standard of materials and finishes, contemporary architecture and fascinating modern design, commitment to new ideas and technologies, beauty, comfort and security are combined and set in one of the most privileged locations in Europe. 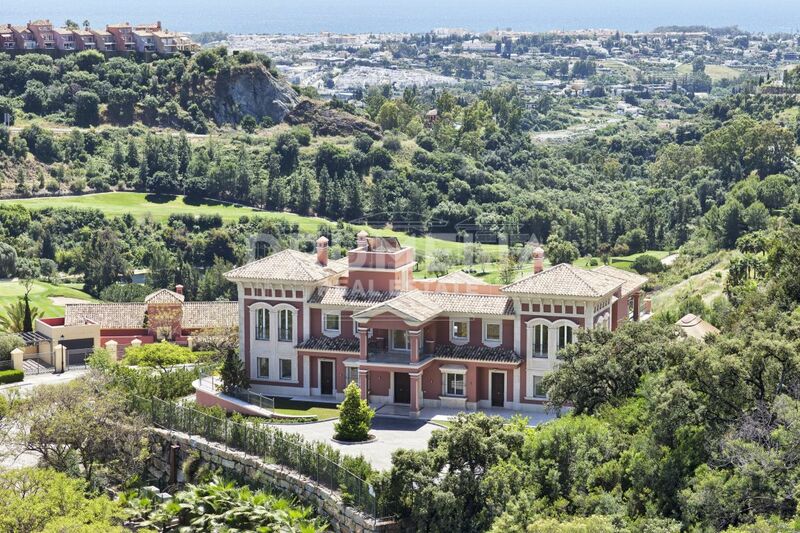 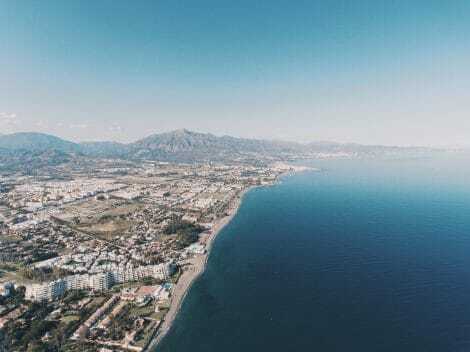 Make the most of the high life on the Costa del Sol!